In this paper we address some problems that arise when modelling the human cardiovascular system. On one hand, blood is a complex fluid and in many situations Newtonian models may not be capable of capturing important aspects of blood rheology, for example its shear-thinning viscosity, viscoelasticity or yield stress. On the other hand, the geometric complexity of the cardiovascular system does not permit the use of full three-dimensional (3D) models in large regions. 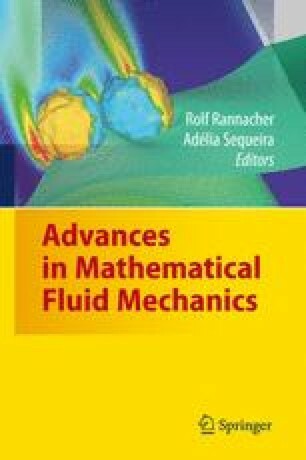 We deal with these problems by using a relatively simple non-Newtonian model capturing the shear-thinning behaviour of blood in a confined region of interest, and coupling it with a zero dimensional (0D) model (also called lumped parameters model) accounting for the remaining circulatory system. More specifically, the 0D system emulates the global circulation, providing proper boundary conditions to the 3D model.